Exploration no. 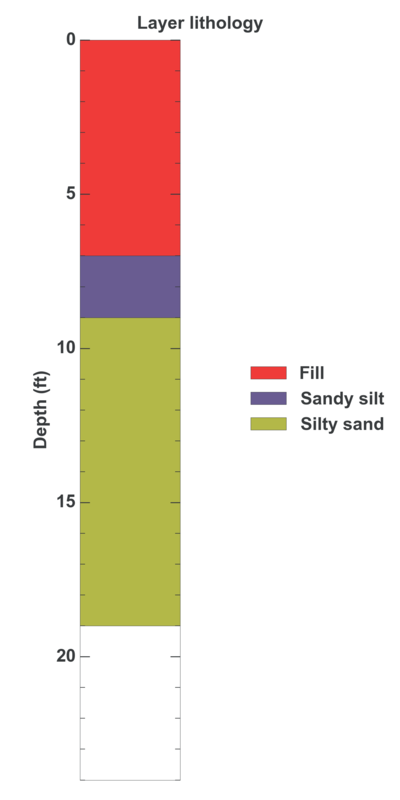 134826 is a Geotechnical (depth 18.9 feet) named: B-14 described in subsurface document no. 59234. The document, a report titled SE Mile Hill Drive Improvements Project- Addendum No. 1 was prepared by Myers Biodynamics, Inc. on 11-14-2003 for a Roadway project.